Worldwide, tea is the most consumed drink after water. Tea has been known in China since 2737 B.C., and is explained by various myths: The Chinese emperor Shen Nong was boiling drinking water under a tree in his garden one spring day, when a leaf fell into the water and released a pleasing scent. This was the first brewing of green tea. Dried and processed further, this drink spread throughout China and then to Japan, and from there to the world. This story is made up of course, but what is true is that tea has been known in China since very ancient times. 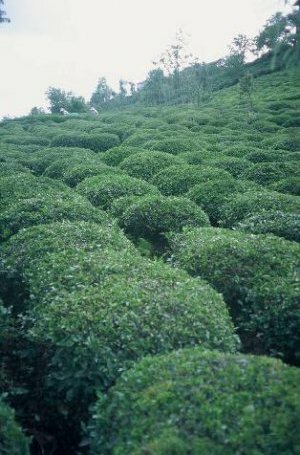 The homeland of the tea plant is a region including upper Burma, southeast China and central Vietnam. We find the oldest historical information we have in the west in an Arab travelogue, according to which the income of the city of Canton came from taxes on tea and salt. Later on Marco Polo and other travelers mentioned tea. From the 6th century on, tea drinking was widespread in China, becoming the Chinese national drink by the 10th century. Tea reached Japan in the 8th century, and became widespread there after the 12th century. Tea culture reached a very advanced level in Japan; houses began to include a “tea room,” and “tea masters” possessed of intimate knowledge of tea preparation and service were trained. In time, a tea culture emerged in Japan, which included tea ceremonies and which held tea as sacred. Known as “cha-no yu,” the tea ceremony and its rituals were developed in the 15th century by Sen Rikyu. The Japanese tea culture was introduced to the outside world by Okakura Kakusô’s “The Book of Tea. This book’s first English edition was printed in 1906. Hearing of tea for the first time in travelogues, the Europeans became acquainted with tea in the early 17th century, when it came to Holland on Flemish boats. It was imported to France in 1636, to Russia ind 1638, and to England in 1656. Puritanical religious leaders were not at all pleased with the introduction of tea to Europe, and claimed that tea and teahouses were detrimental to Christianity. These reactions were echoed in England in particular, and in 1675, the King of England closed the teahouses and forbade the drinking of tea. However this prohibition did not last long, and was soon lifted. Although tea reached the Ottoman Empire from China via the Silk Route before it reached Europe, we do not have documentation of the early part of its journey. However we do find information on tea in the Seyahatnâme, or travelogue, written by Evliya Çelebi early in the 17th century. Later on, we find records of tea in a perfumery accounts book dated 1777, and customes records dated 1816. Although tea was first raised in Turkey in 1878 from seeds brought from Japan, tea cultivation remained at a symbolic level. The first serious attempts at tea production gained momentum with the founding of the Turkish Republic. 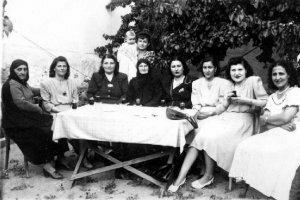 At the directive of Prime Minister İsmet İnönü and the efforts of idealists like Zihni Derin and Hulusi Karadeniz, tea culture was successfully begun in the late 1930s in Rize and the neighboring provinces of Trabzon and Artvin. The first tea factory opened in Rize in 1947. 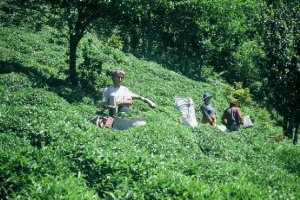 In addition to the state cooperative Çaykur, there is also private cultivation and processing. Today, there are 230 tea factories and workshops in Turkey. Tea is third in per capita tea consumption, behind Northern Ireland and England. Tea has entered our folk songs, legends, riddles, sayings, poetry and stories. 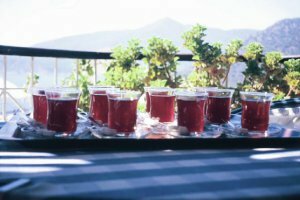 A foreign journalist noted that everyday business in Turkey begins only after tea, served in the small, narrow-waisted glasses.